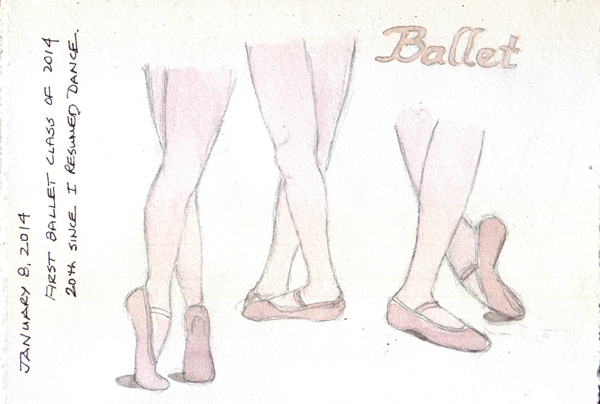 I am celebrating my 20th weekly ballet class after my return to my favorite form of exercise. I always loved dance - of all kinds - and took ballet classes once or twice a week during many years of my adult life. But I "lapsed" when I retired and during the summer decided that I had to return - at least for the entire barre part of the class. My friend Teri, a mixed-media artist, told me about two online Art Journal groups she joined for 2014. I looked carefully at both of them and decided on a "Documented Life" project. I love memoirs and have many ways that I document my life and those in my family - including all of my ancestors back for several hundred years. Each week there is a prompt posted, and members create a journal page in a modified Moleskine Weekly Planner. I love the idea of a weekly prompt, and for years did the weekly Everyday Matters challenge. But I wanted to draw/paint in ink with watercolor on my favorite watercolor paper. I tore a sheet of Fabriano Artistica 140 lb extra-white Soft Press paper into folios, made signatures with two folios per signature (i.e. 8 pages), and started the prompts on the first signature. I have the pages in the signature numbered so I can bind the book, in order, at the end of the year. 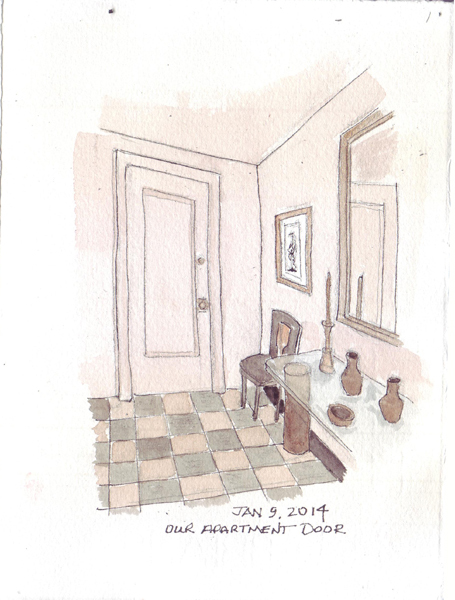 I live in a New York City apartment building and sketched and painted the small hall off the elevator and my front door. I debated about drawing a self-portrait, but recently did that for my FIT Figure Drawing class. 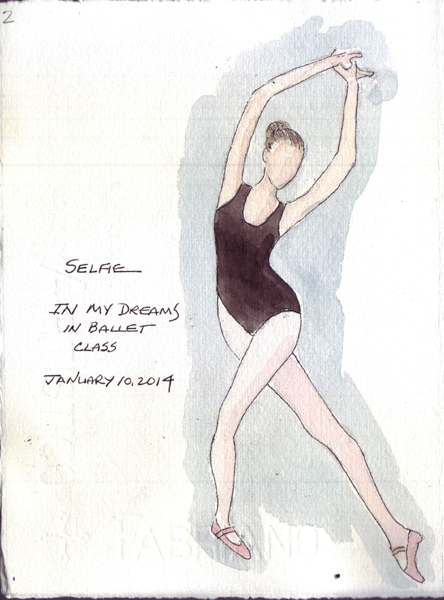 So instead I sketched and painted "The Selfie of My Dreams." We spent a long weekend in Washington DC visiting our son, his wife, and two children. When they moved to DC, I started a "Washington DC Travel Sketchbook" and used it to record events of our visits. I finally finished one sketchbook and this time brought Volume 2 - a Moleskine Watercolor book. Here is my 5 year old grandaughter Annabelle helping me finish the title page. She loves to draw and paint. Together we spent hours drawing and painting at the table and then at the National Museum of the American Indian. 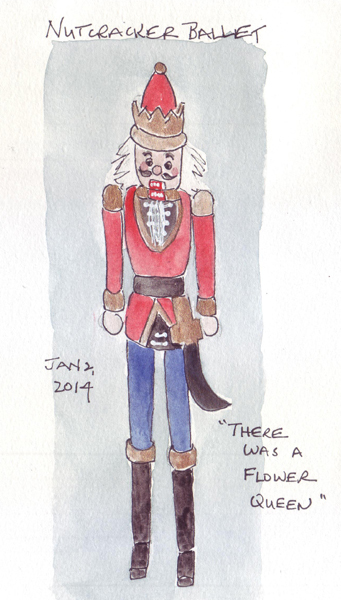 One of Annabelle's Nutcrackers, a memento of the ballet this year. Two year old William in his Santa hat. We used a new set of Prang glitter paints for his hat and shirt. Annabelle loved the glitter. 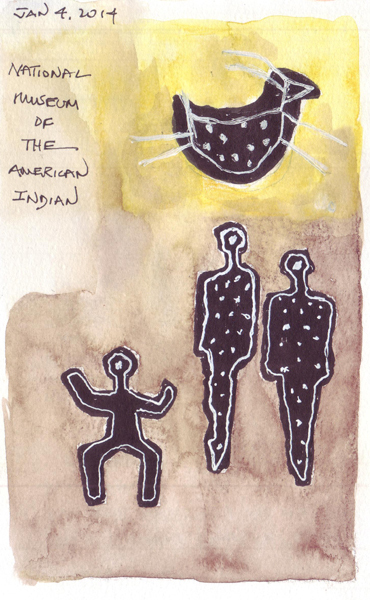 I loved this painting at the American Indian Museum - Maidu Creation Story by John Fonseca (2000). Here are several of the images I sketched from the painting while Annabelle was painting a rainbow. William has a favorite little stuffed Elmo and several days before we arrived he ate the black felt pupils off the eyes! I brought black embroidery thread and stitched new pupils making William very gleeful. 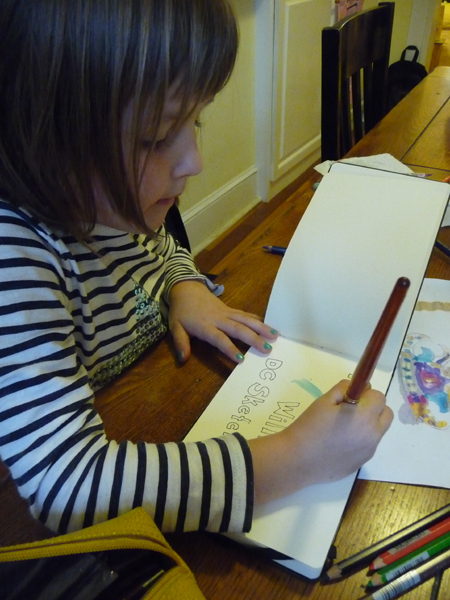 I am hoping that these sketchbooks - and our shared time painting - will create wonderful memories for our grandchildren. Already Annabelle loves looking at the first volume and identifying the paintings. January 4th is the 8th anniversary of my blog. I had no idea that I would enjoy connecting with a creative world as much as I do. I've met wonderful artists online, and then in person, and shared so many experiences. And the blogs that I follow are a continual source of inspiration and information. I want to wrap up a few projects now before I write a Happy New Year blog post and my yearly "Progress and Goals". 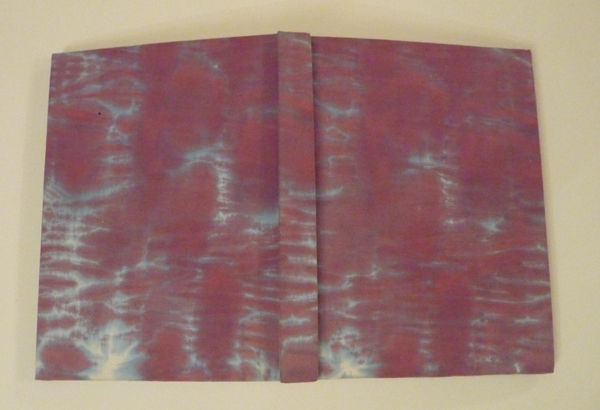 Bookbinding: I made another watercolor sketchbook using hand dyed fabric for the book cloth. This is the 21st cased-in book I made using my dyed fabric and the 48th watercolor sketchbook for daily drawing and painting. My earliest books were spiral Aquabee and Moleskine watercolor books. The rest of my handmade books are travel sketchbooks and figure drawing books. By making my own books I can control the size and the paper - and that keeps me happy. 2. 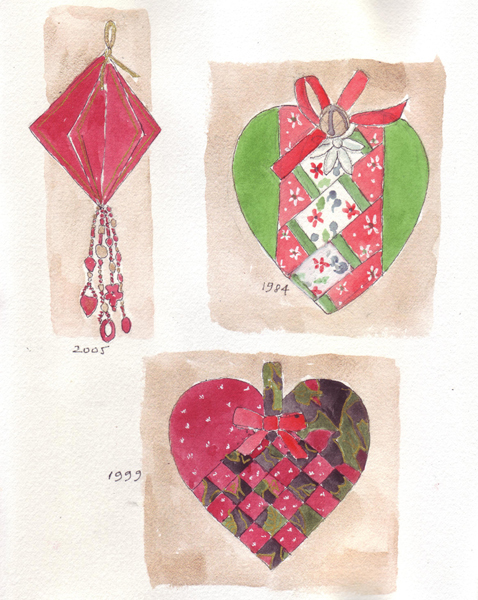 Paper: This is a page in a watercolor pamphlet stitched book that I started several years ago to draw and paint the tree ornaments that I made since 1976. While the tree is up I try to identify all of the ones that weren't painted yet and this year I found two hearts from wildly different times. 3. 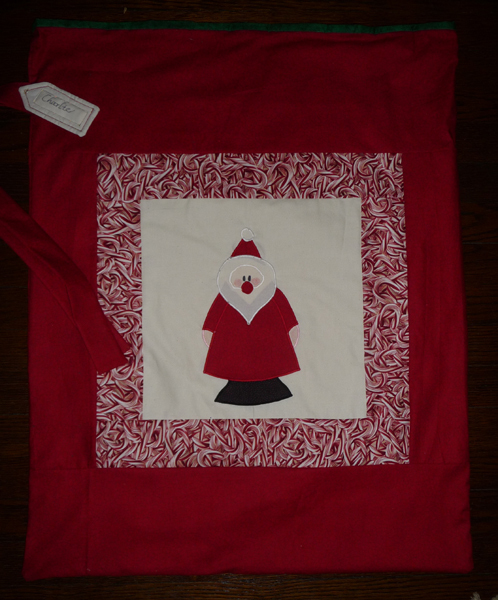 Threads: Here are the final products from my Santa's Workshop 2013 - a cotton velveteen quilt and photo pillow for my 2 year old grandson William. We are going to visit him right after New Year's, so these were the last gifts completed. 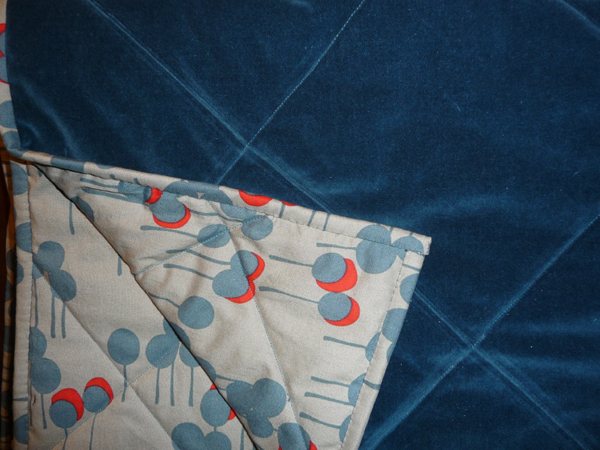 This quilt design was developed when Henry was 2 (now 10) and every grandchild loves the texture of the velvet on one side and cotton on the other. I machine quilt them in a crosshatch design and they are completely washable. The photo was taken this Fall and I printed it on EQ fabric sheets. 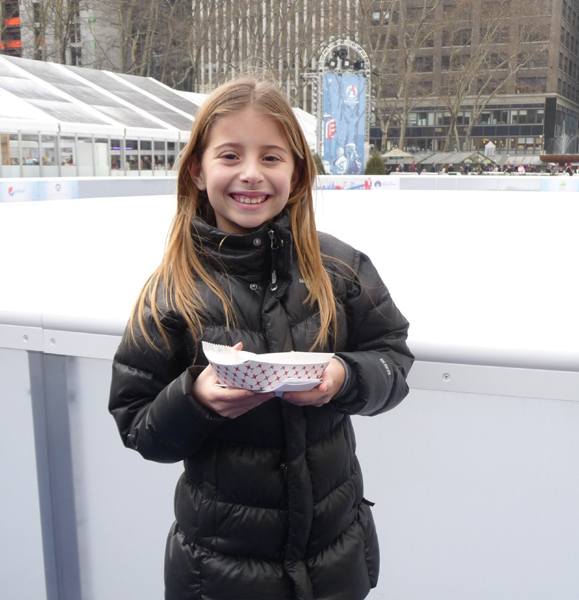 Last Friday I picked Sydney up at school for our 4th annual Birthday-Christmas trip to Rockefeller Center to have lunch, and Bryant Park to see the Christmas Village, watch the skaters, and eat dessert. The end of our walk is always Beads World - her favorite store in the Garment District. While we were eating lunch in 30 Rock, she took photos of the Santa skating on the ice skating rink and later that day I sketched and painted from the photo. I took Sydney to see the New York City Ballet Nutcracker 4 years in a row. Twenty five years ago we took her mother and her brothers to see Phantom of the Opera right after it opened on Broadway and suggested that we see it this year instead of the ballet. It is the longest running Broadway show in history and it is still full for every performance. We both loved it! 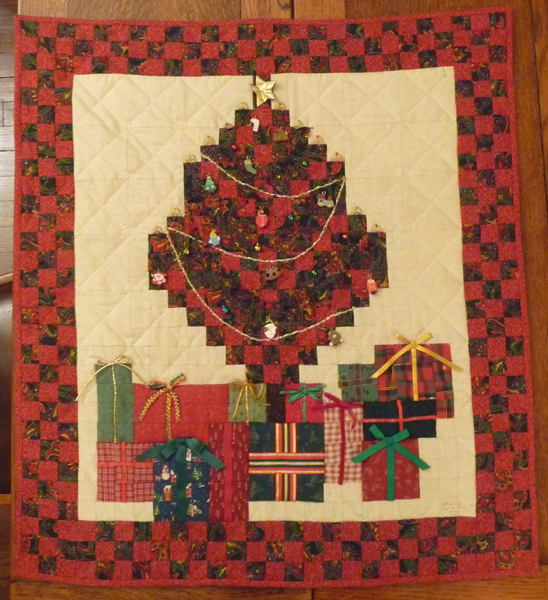 This is my quilted Christmas tree, made in 1992, and hung in my studio at Christmas each year since then. There are small wood ornaments and strings of colored lights that I added after quilting it. As I make Christmas presents for my grandchildren each year in my studio, I thoroughly enjoy my little tree! I hope that it continues to grow old with my grandchildren. 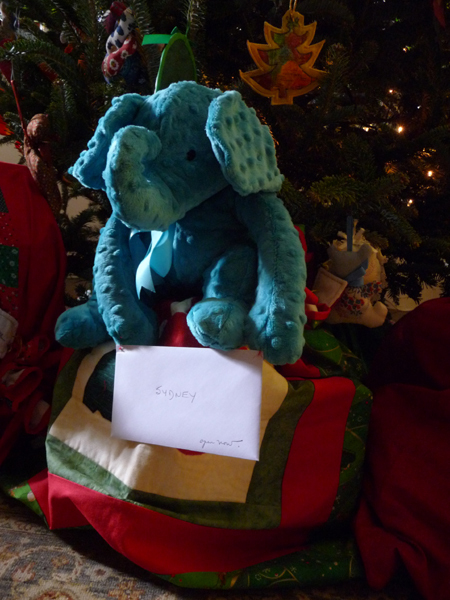 On Sunday I spent one more day in my studio for this year and made Sydney a Teal Blue minky elephant like I made for Charlie and posted a week ago. Shhhh! It is a surprise! All she wanted this year as a gift from us was money toward custom made sneakers - and with a Birthday last week and now Christmas, I wanted a little surprise for her. 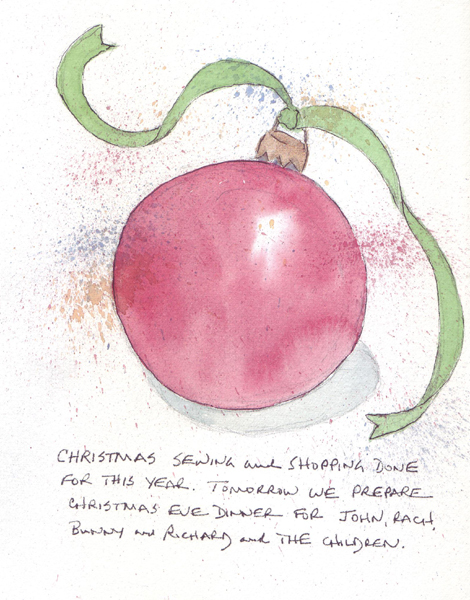 Last night, as I made a list of my last minute tasks before Christmas Eve dinner in our apartment, I was inspired to paint a Christmas tree ball in my sketchbook. The idea came from a watercolor artist I follow (Suzanne Smith if I remember correctly) and I wanted to try to create a reflection using a wet in wet technique. 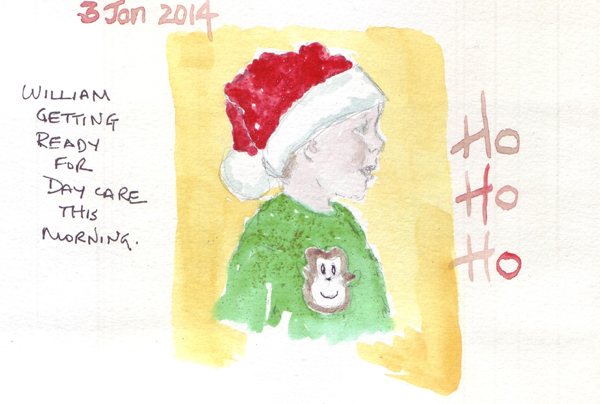 Last year Charlie, our 8th grandchild, was only 3 months old at Christmas. I made him a Christmas stocking, but not a gift bag. Over the years I made stockings and giftbags for all of our children, their spouses, and children. So this year I made Charlie his gift bag. 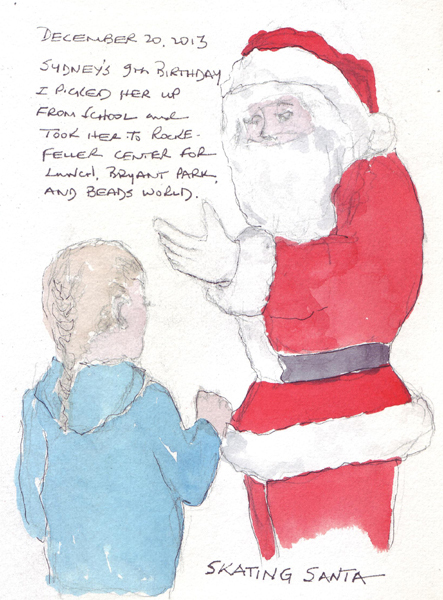 The Santa image was drawn from a photo I used in 1976 to create a santa ornament. I have no idea which magazine it came from. 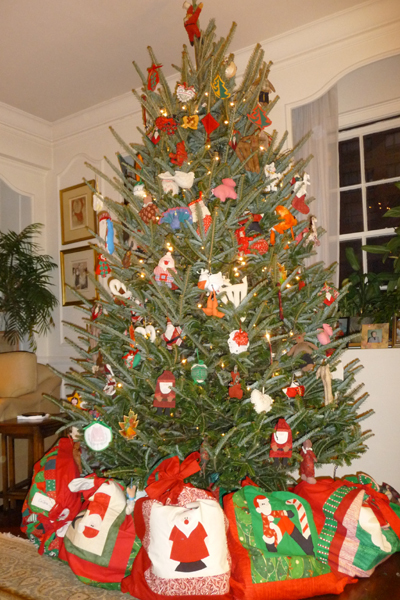 This is our 2013 Christmas tree with all of the gift bags filled and placed at the bottom of the tree. They are not complete yet, but it is the easiest place to hide presents from the kids. I made Charlie a blanket, a pillow, and a stuffed elephant out of that incredibly soft, plush fabric known as "minky." 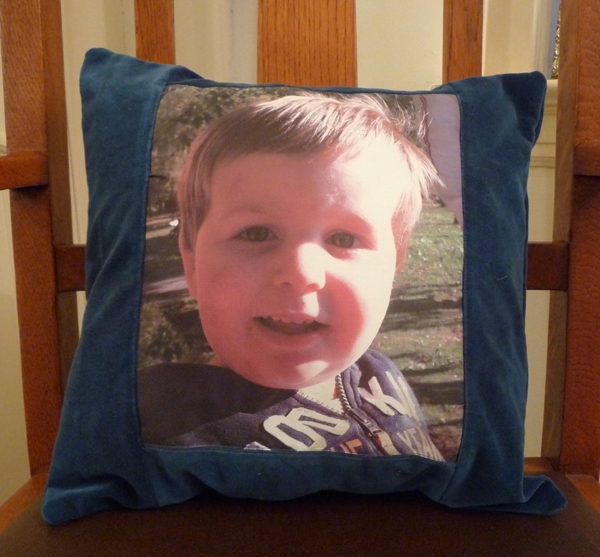 His big brothers each have the same blanket and pillow, in different colors, from last year. 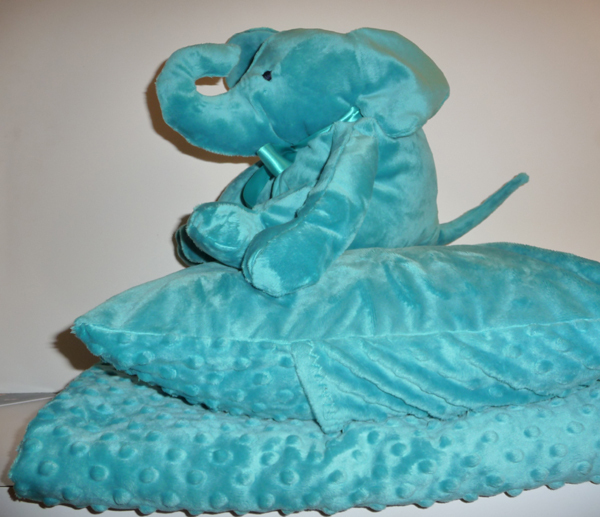 The elephant was made from a pattern from "Carol's Zoo." I love the elephant, and remember the fun I had drawing and painting more than 20 elephants last winter. 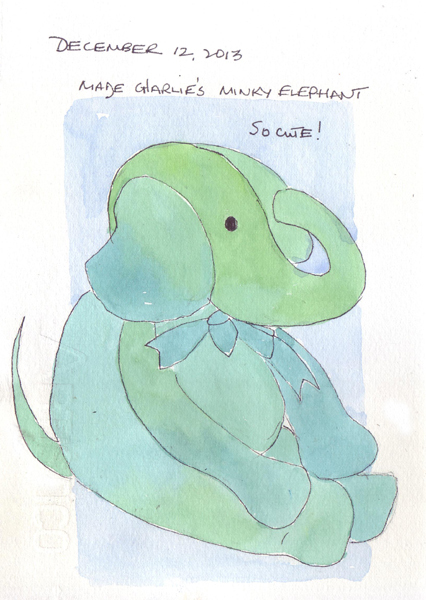 Here is my teal blue elephant which I painted in my sketchback for Charlie.